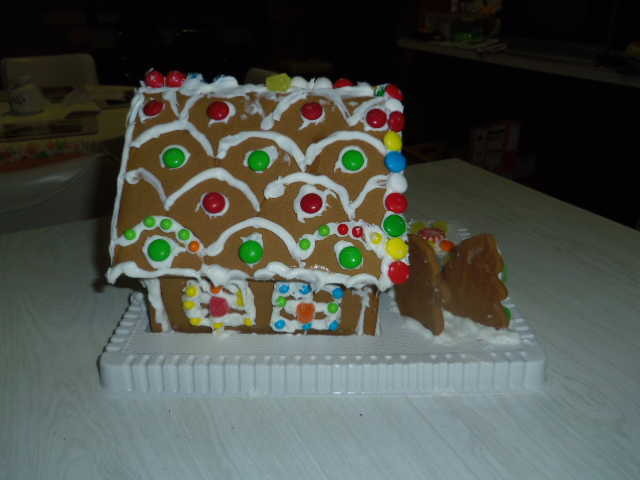 Patra's Other Place: Gingerbread house. 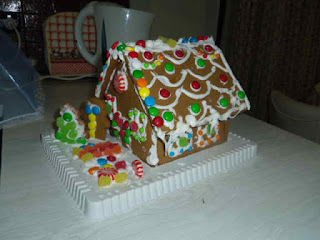 On the hottest night in Melbourne for years, I had to put this Gingerbread House together for Xmas Day. I waited until midnight for the temperature to drop, but it remained at around 27 deg. 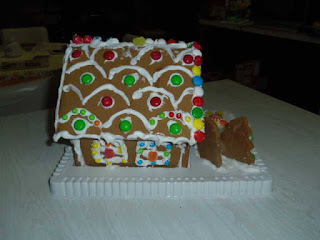 c. so I was forced to ice the house and watch it repeatedly collapse because the icing wouldn't set! Result is a very messy gingerbread house, but I don't suppose the kids will care. 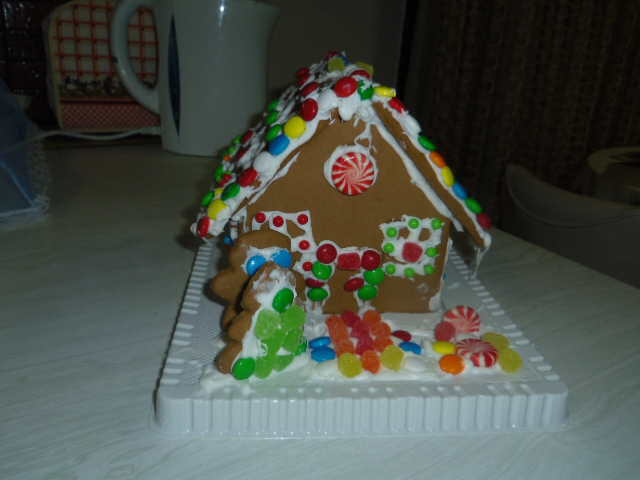 They'll just pick off all the lollies and leave the gingerbread to the adults! I've been so out of touch and have a lot of reading to catch. Can you send me your email? My computer had a major burp and well I'm still trying to recover stuff. Watch for a new blog to appear soon. Just keeping you in my thoughts dear friend. You did a great job - weather not withstanding. I used to make these but haven't in years.